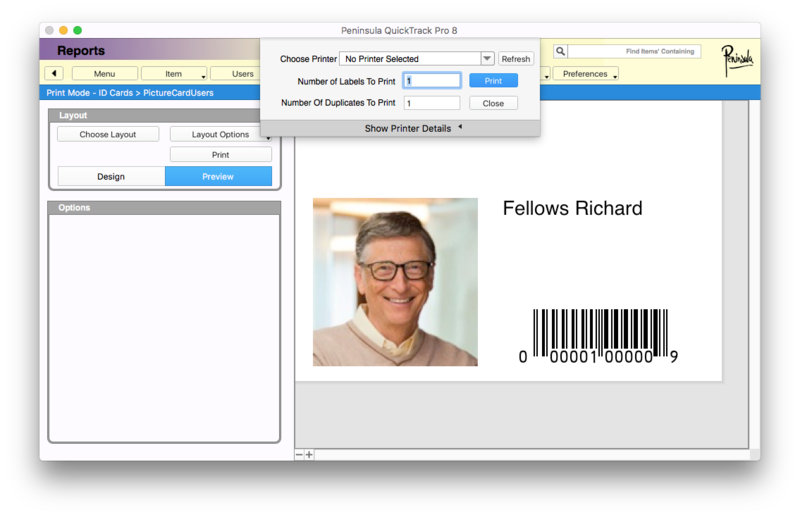 Below you will find a tutorial teaching you how to make picture ID cards in Quicktrack Pr0. 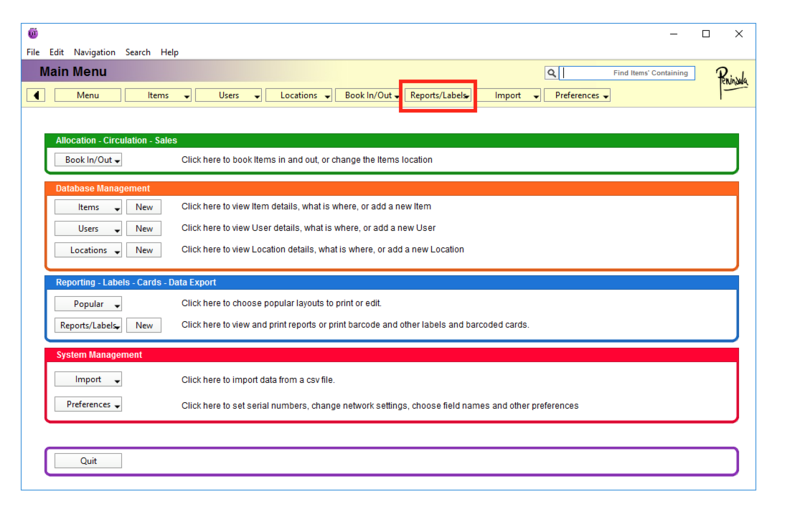 You will see a "reports/labels" tab, this will be the sixth tab along the top row. 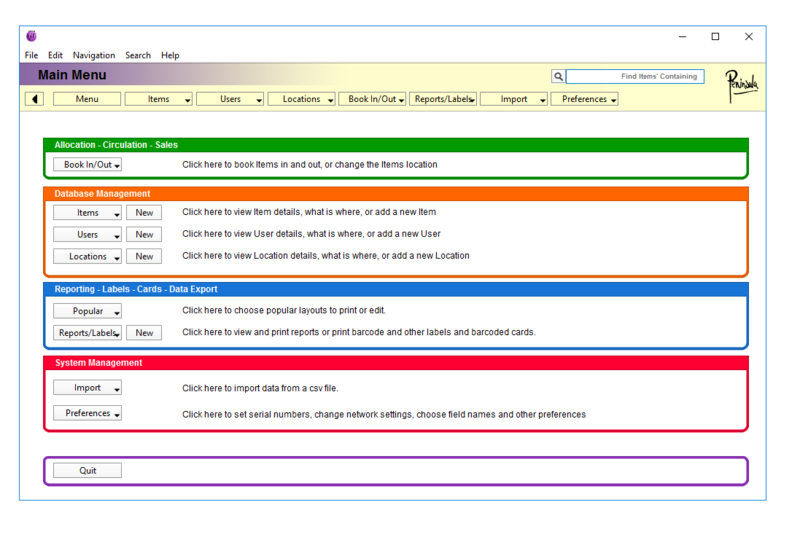 You will see a drop down menu. 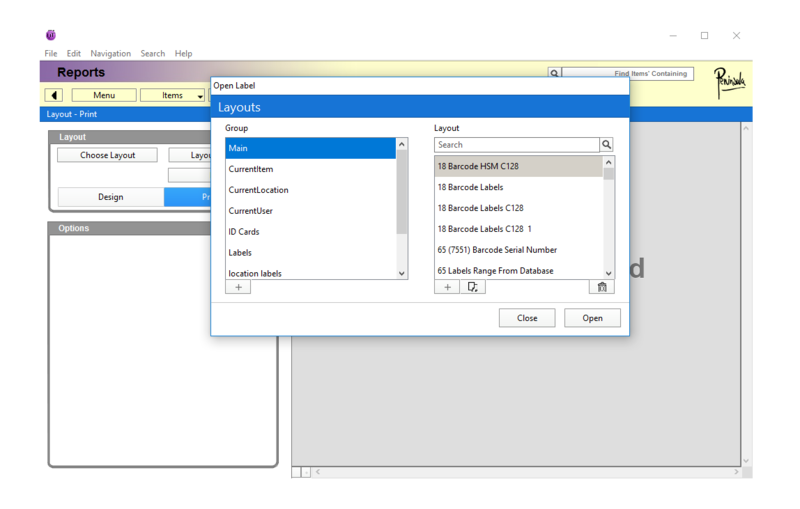 Navigate to "open layouts" and click on it. 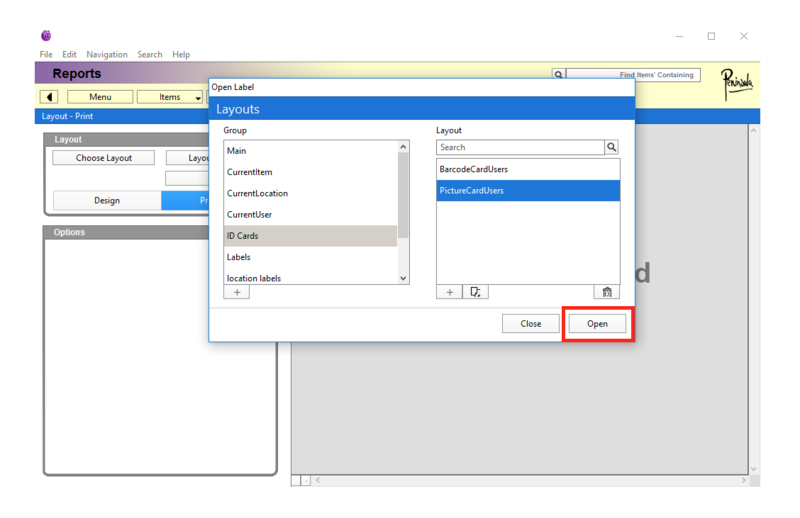 After clicking on the "open label layouts" button, you will be taken to a new page. 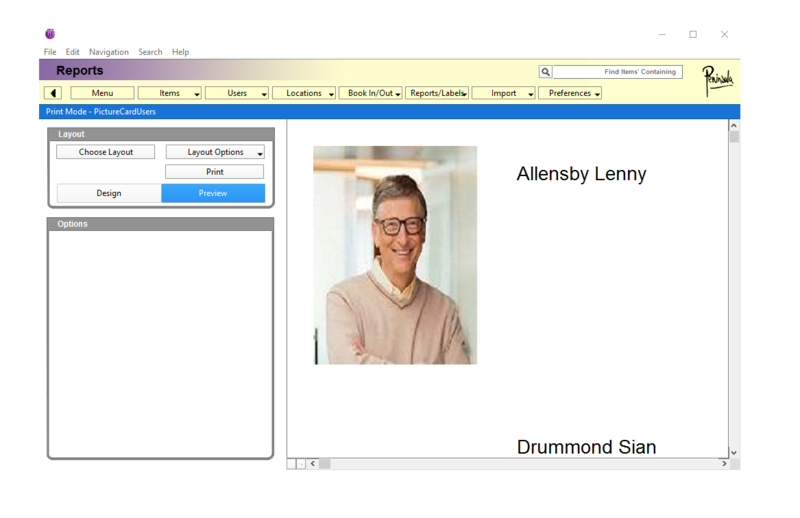 To create a picture ID card, select ID cards from the groups list. 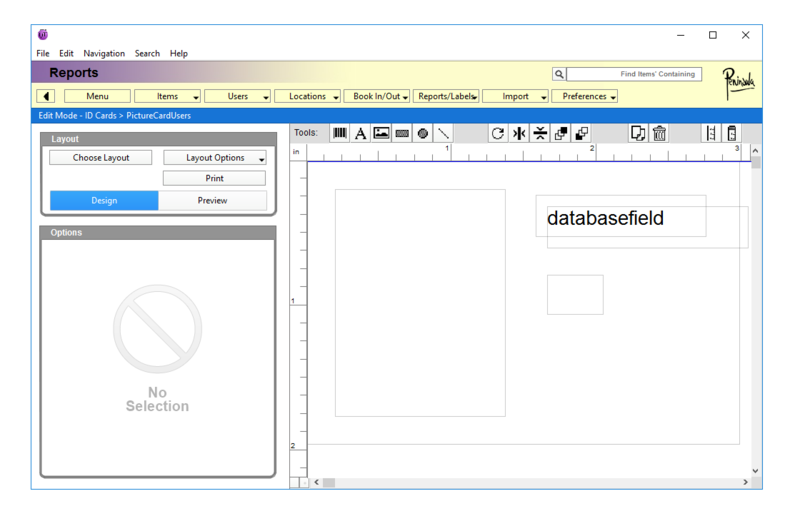 Then select PictureCardUsers from the layout list. 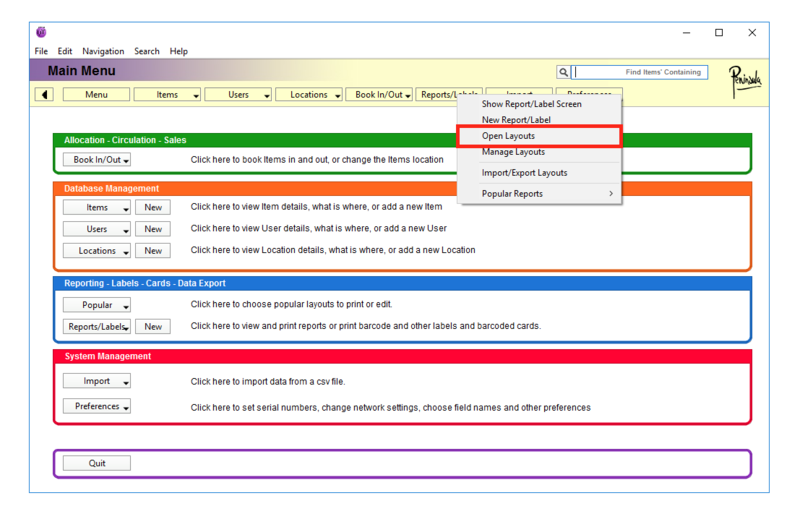 After you have ensured to select the correct group and layout, click "open". After you click "open", you will see the ID card. Click on the design button. 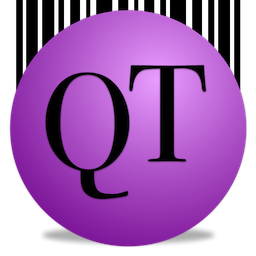 This mean we can now edit the Library card. 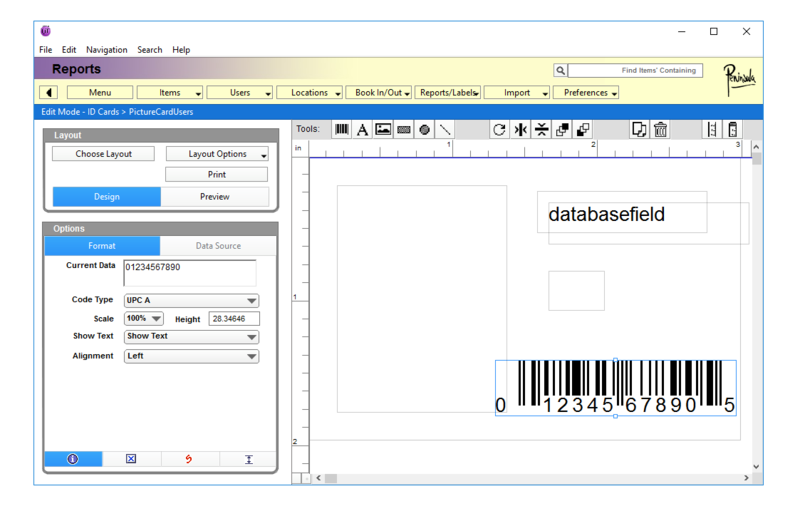 Click on the small Barcode icon and it will generate a barcode and put it on the library card. 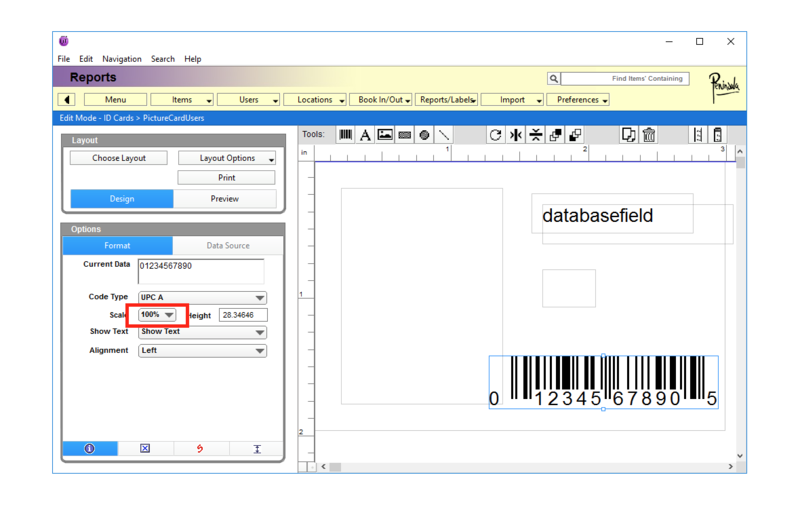 Move your barcode around to where you want it to be situated on the library card. 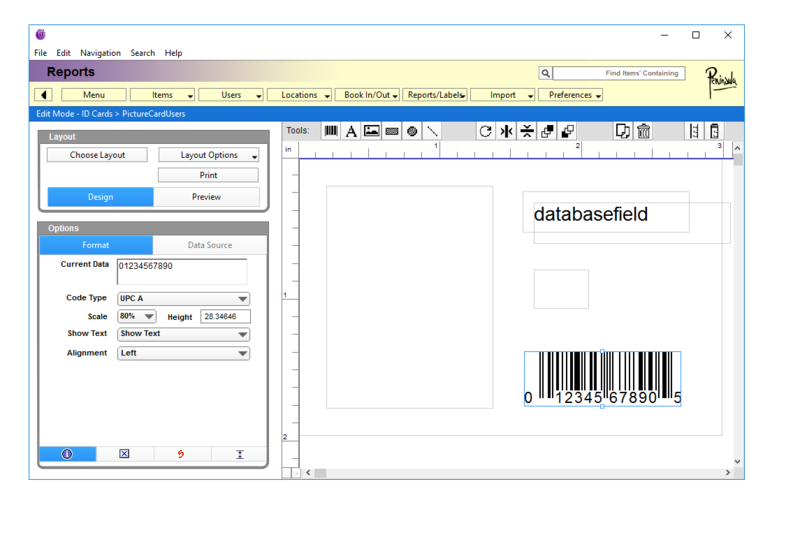 Next we will change the scale of the barcode so it will fit on the page correctly. 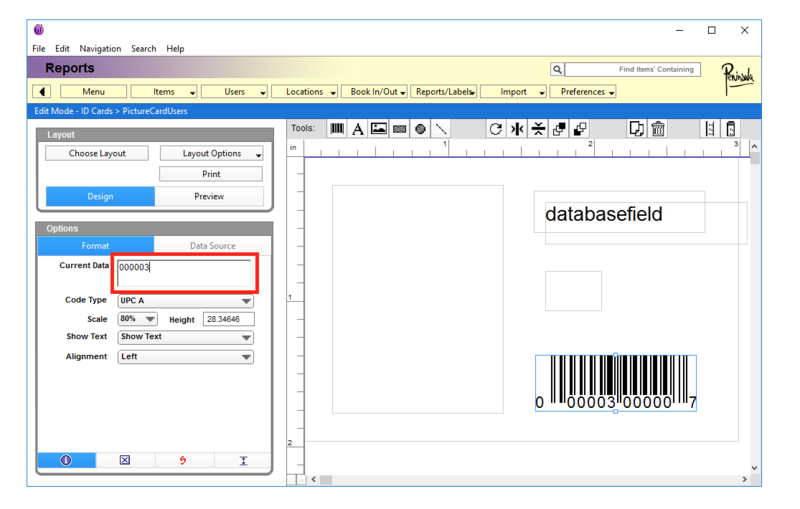 We have annotated the scale box, click that and then in the drop down menu select the size you want the barcode. 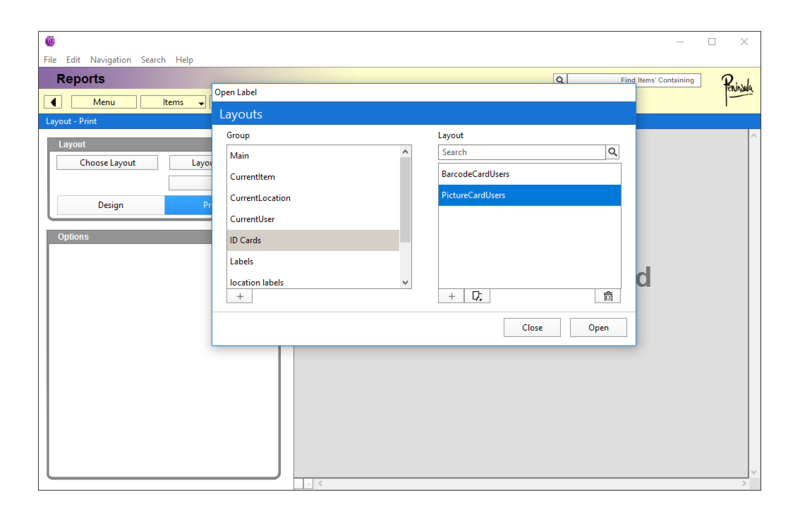 Next we will click in the text box underneath the alignment drop down menu. 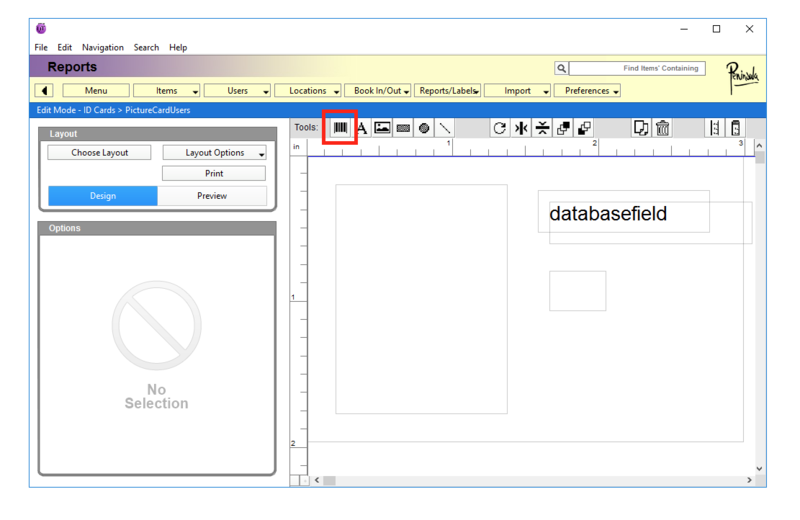 In the text box, add the students ID number instead of the already generated number. the barcode has the students ID number. Next click the "print" button. After clicking the "print" button, a new dialog should open up. select which item you wish to print and click "print selected". When you have clicked print selected, a printer dialog will open. 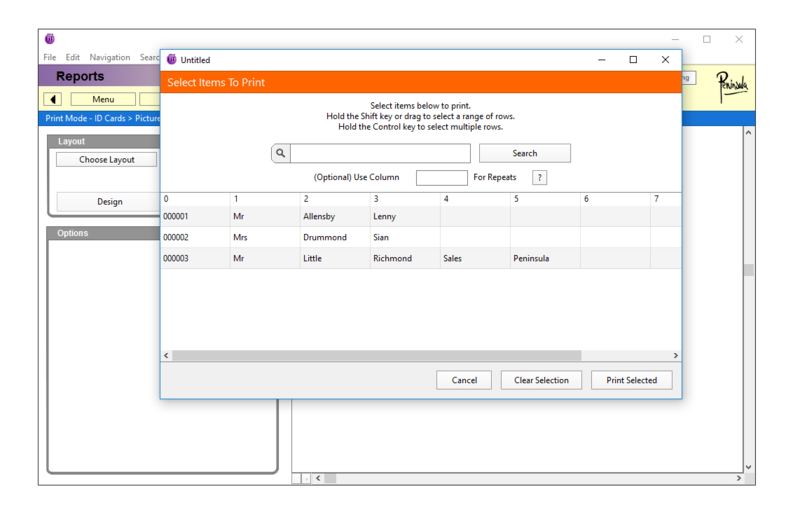 Select which printer you will be using, how many labels you want to print and duplicates if any. When you have made sure you have selected everything correctly, you may print your library card. 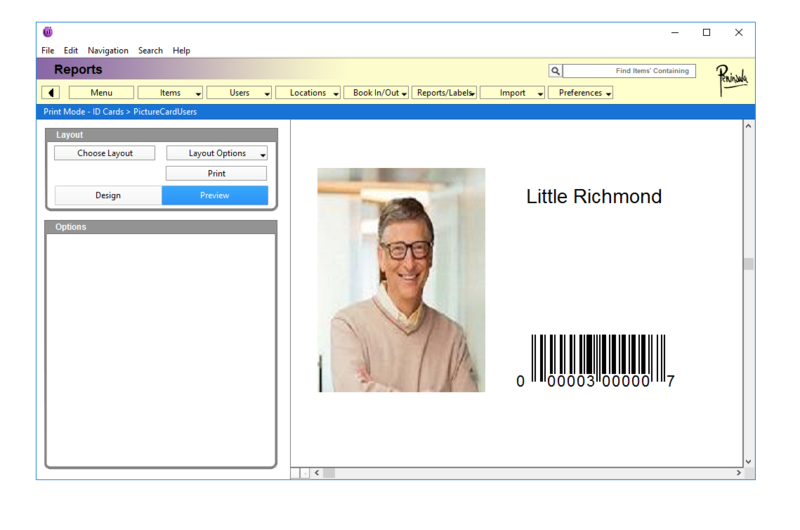 You now know how to make and print picture library cards.